Blouse made of chiffon and latex. 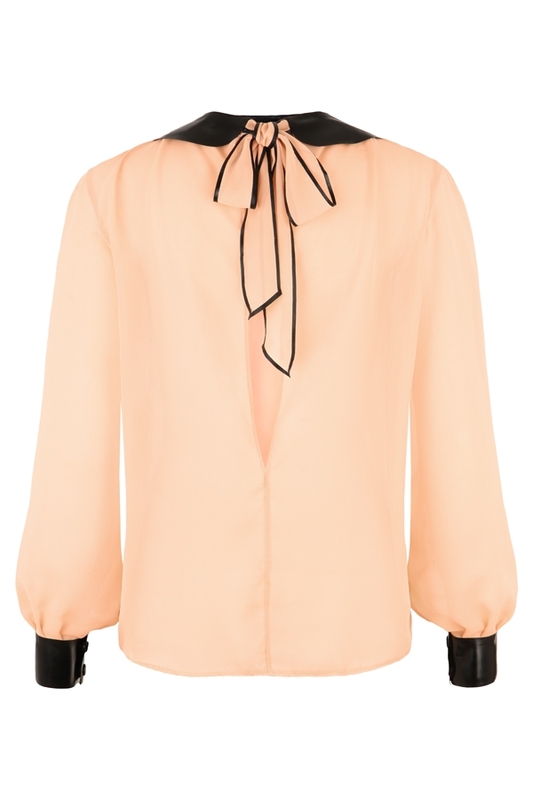 The blouse has a back slit and is closed with long ribbons at the neck. The collar, the cuffs and the delicate piping on the ribbons are made of latex.